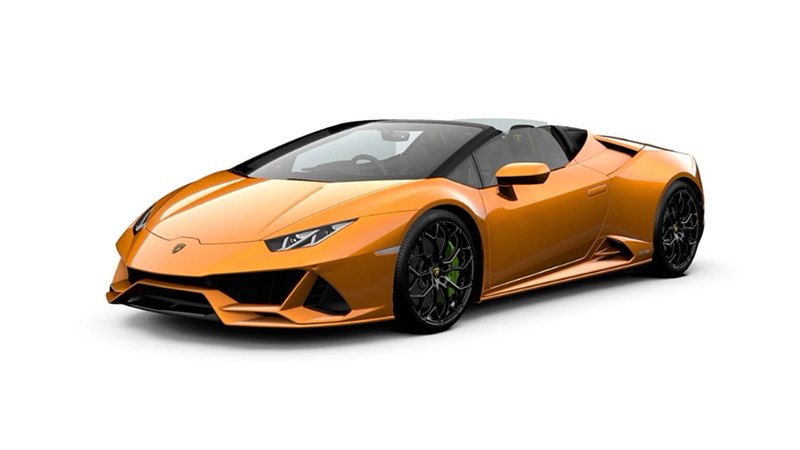 Pick your favourite colour from the wide range of attractive colours Lamborghini Huracan has to offer. Explore the various colour options and choose the one colour that fits your style and personality. Huracan is available in 26 exciting colours - Verde Mantis, Rosso Mars, Nero Serapis, Nero Noctis, Nero Noctis Solid, Nero Nemesis, Marrone Apus, Verde Turbine Green, Grigio Vulcano, Grigio Nibbio, Grigio Grey, Blu Grifo, Grigio Titans, Grigio Nimbus Metallic, Grigio Lynx, Giallo Midas, Giallo Horus, Blu Caelum, Blu Achelous, Bianco Monocerus, Bianco Monocerus Solid, Bianco Icarus Metallic, Bianco Canopus, Arancio Borealis, Nero Helene, Bianco Icarus. Sample the lookbook of the entire range and pick the colour of your everyday drive.